Your seasonal transitions will become easier once you wear this classic biker-style Mens car coat that is equipped with cool features. 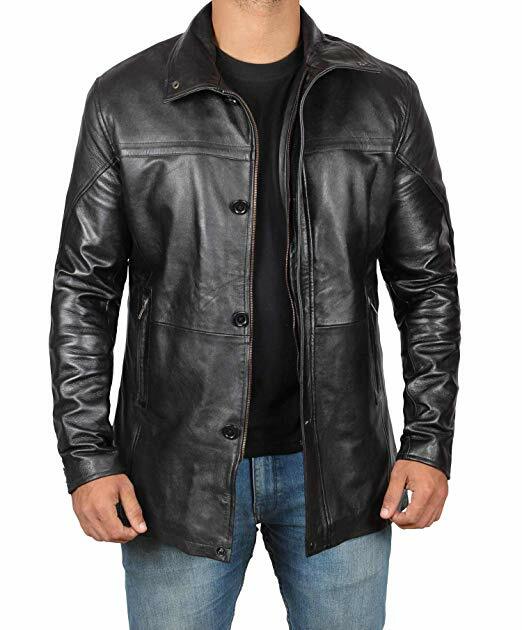 This Mens Leather Jacket Coat is constructed from incredibly durable leather and comes with multiple style closure and two side hand-warming pockets. Buy now, wear forever! Another staple of your wardrobe is the brown leather jacket. Received shipment on time. Very pleased with the product quality as received. 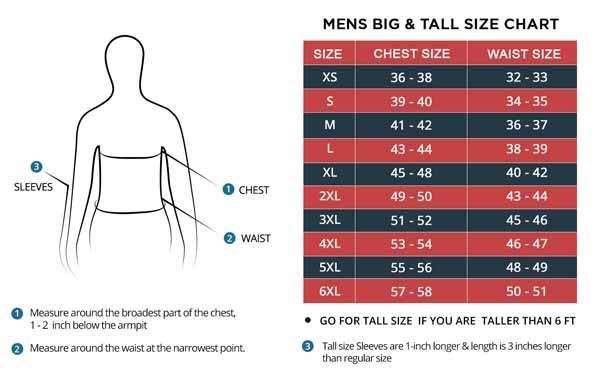 I bumped up one size (from XL to XXL) and I’m happy I did. Keeping in mind that I prefer a more loose fit than tighter. Overall I am very happy with my purchase. Hopefully they hold up well. I would consider another purchase in the future. I will say it's a piece for every man like me. The weight usually stops me from wearing fitted jacket which is why I sized one up to make sure I get enough room inside to hide my big tummy. With the help of this jacket, no one can notice I m a belly boy. First, of all, I've been wearing this jacket for almost a month. It fits perfectly. It feels great, the inside is nice and super warm. My dad is a cab driver and works all day. 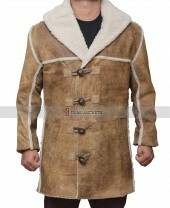 He travels through different routes so in order to keep him protected, I got him this gorgeous coat. He is happy with it and wears it while driving is cab. Promising service and arrival was fast.